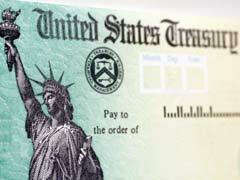 TIPS bonds are Treasury Inflation Protected Securities, and these bonds offer inflation protection. A weak US economy means a weak dollar, and for most economists this means the probability of inflation. Both the TIPS and I bonds interest rates are adjusted for it, due to these bonds being inflation indexed to the Consumer Price Index. The outlook for TIPS bonds in a weak US economy is very attractive for many investors, because most experts predict that inflation is going to continue rising and will end up at a higher level than what is being predicted. Economic uncertainty and a weak dollar make these bonds and excellent choice right now for conservative investors. United States savings bonds do not offer the protection that TIPS and I bonds do, which means that your return is the same even if inflation is high but your dollars will not go as far. With TIPS bonds your return is adjusted for the current inflation rate, so it will fluctuate depending on how high or low the rate is at any given time. A weak economy can cause excessive inflation, which is not calculated into most treasury bonds rates, and this can mean a much lower overall return. This is not true with Treasury bonds rates that are inflation indexed though, making them a better choice during times of economic weakness. TIPS bonds are often viewed as investors as a win win situation. If the interest rate is the same or lower when the bond matures as it was when the bond was purchased then you will be paid the original amount or rate of the bond. If inflation rises then you would be paid the amount after an adjustment has been made to reflect the higher inflation amount. With savings bonds and most other bond types, which return can be devastated when the bond matures, but bonds which are indexed to the inflation rate can be a smart move in a weak US economy.